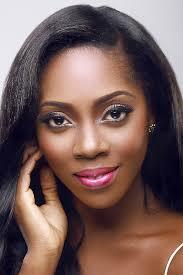 Tiwa Savage is on the cover of the November issue of Genevieve Magazine. In an exclusive chat with the magazine, the singer opened up on suffering from pre-eclampsia, a condition some women have towards the end of their pregnancy. According to the singer who gave birth to her son in July, she had high blood pressure, swollen feet, and could hardly walk. "However, even though I did do a few other performances like that; I wasn’t planning to be that energetic at that event. But I got so much love from the crowd in Uganda and it was very emotional for me, considering the stage of the pregnancy at the time." "Before, I got there; I had doubts about how I would be received and if I was going to be made to sit on a stool during the performance. But when I got there, everyone was warm, loving and understanding of my situation." In all, that performance was unexpected. I got that energy from somewhere, but trust me, the next day I was in bed all day," she said. Read full interview in the November 2015 edition of Genevieve Magazine.